"Get inspired … get started … get into the world of DDMoRe". Auditorium “A” of the Faculty of Pharmacy. It is located at walking distance from the meeting venue. 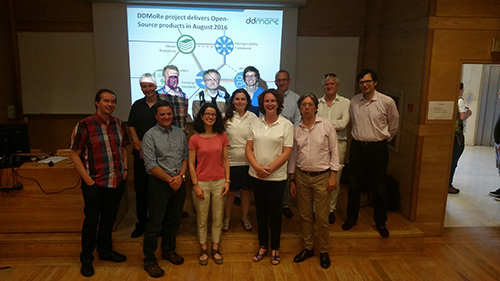 All these products together deliver the DDMoRe platform, which will be demonstrated live with real model examples, showing the different elements and intended workflows. The added value of the products to efficiently apply model-based approaches and knowledge exchange - supporting the concept Model Informed Drug Discovery and Development (MID3) - will be discussed in the closing session of the workshop.